This is why I HAD to remove all photos from the flat because the daily reminders were too painful, I would love to be able to have a look through the albums etc but just one single image and the cracks reappear. 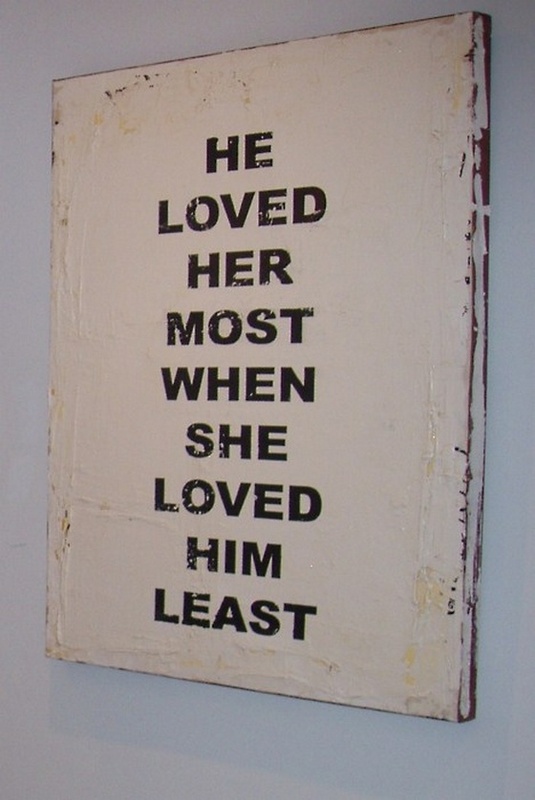 If only she knew how I feel.. This is not going to be easy, especially as we approach my birthday at the end of the month and then Christmas. I know I am weak, foolish and delusional. I also know I still love her with every part of me. Time is meant to be a great healer, hurry up time and let me heal. Is what I am trying to convince myself…. But the truth is that if you walked around my flat you will see tiny fragments of my heart still in the carpet waiting to be pieced back together. I am trying slowly and surely to find them all and rebuild it but some days the glue does not always hold. Little by little all fragments and memories are being confined to the past but questions remain that haunt me, questions that I know will probably never be answered. Some of the hardest things are the choices that were made without my thoughts, feelings and opinion. I try so hard not to give too much out about what has happened but sometimes I feel like it would be better if I simply got it all out there and off my chest, but it would not change a thing or bring me any respite. I simply have to accept that I am no longer considered important enough to exist, that what happened was not sufficient enough to warrant fighting for, and that I am just not worthy or the time of day. Choices that I did not make! So hard as is it right now I have to start focusing on rebuilding Garry from the bottom up. I did not choose to get depression, I did choose to try and protect you. I did choose wrongly in my methods of recovery and support but with the right intentions. I did choose to honour our vows, to love you wholeheartedly and although I did not show it at all times, never did I say the words “I love you” and not mean it when I said them. “For better, or for worse, in good health or bad” meant everything to me, to you it meant a reason to go. Call me bitter, call me twisted, call me anything you want to justify your treatment of me over the past 4 months. I tried, I fought, I did everything I could. 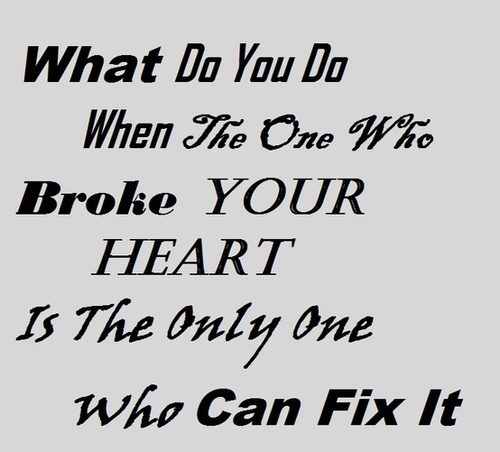 I couldn’t fix it. You didn’t want it to be fixed. I don’t exist to you anymore, we don’t talk, you wont. 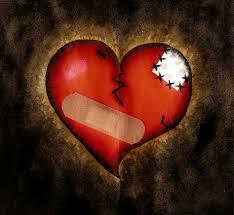 I have to stay focused on the repairs needed and have at last upgraded my heart from broken to shattered. It doesn’t hurt any less, It just means that I have moved on in my dealing with the issue. Now if anyone can provide me with a way to stop the following questions from haunting me, and keeping me awake at night I really would be grateful! how can she forget me so quickly? how can she treat me like i don’t exist? why am I so forgettable? why did I suggest the break (for her benefit)? what exactly did I do wrong? why wont she talk to me? Probably not the healthiest things to be asking, but I need to find answers so that I can use super glue to fix things and not a pritt stick! I wont apologise for who I am, and the way sometimes I act. I wear my heart on my sleeve and say things that I know you don’t want to hear, but it’s how I am. If I feel it I say it whether it needs to be said or not. I told you how I feel and you chose to ignore it and pretend it wasn’t said – and that is fine, it doesn’t mean I will switch it off or keep holding on to any hope that you will one day change your mind and see me for who I am, what I could be, and how good things could be between us. Yet I am still chasing hard, doggedly persistent because I know what i feel is true – as crazy that may be to you. Yes I’m brash, annoying, needy, overwhelming at times and all manner of things but that is who I am and the good far outweighs the bad. I can see you for who you are, beyond the exterior and into the person inside, and I like it! There is something about you that I just cant walk away from, no matter how hard I have tried. So take me as I am, fault and all because the reward is you being treated like a queen. Fine I cannot offer you materialistic things, I have no money and no job, but what I can offer is arms to hold you, shoulders for you to cry on, hands to wipe away your tears, and a heart that’s longing for you. Friendship, respect and love cost nothing but mean so much more than anything money can buy. Why don’t I just walk away when you so clearly state you don’t want what I can offer? Because I can’t that’s why! I wont apologise whatsoever for being me and I never will. And one day you WILL see the potential in me..